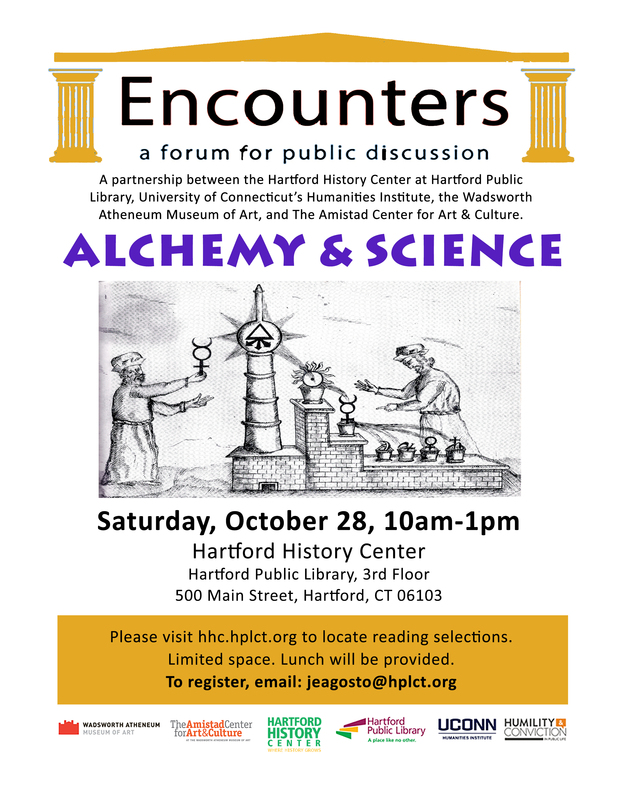 This small group discussion will take place in conjunction with the alchemy programming at the Wadsworth and focus on the hidden and surprising connections between science and alchemy. “Alchemy” is frequently used to define seemingly miraculous transformations in the social, economic, and political spheres. However, the term has its origins in the Middle Ages and the Renaissance, to designate a secretive practice pursued to transform base metals into precious gold, and ultimately to control the natural world. Join us for an exciting investigation of period texts about alchemy to learn about early forms of chemical experimentation, commerce, counterfeit, and the quest for natural resources.